EIVs will not simply make charging stations and even contactless charging an anachronism: they will open up many new markets. An EIV microbus is already on sale in China: road-legal solar cars being commercialised by Sion Motors of Germany in 2019 and by Hanergy of China in 2020. This is no pipedream, the Hanergy working prototypes were driving around in 2016! Indeed, the IFEVS pasta van is energy positive, doing journeys across Italy and serving 100 bowls of hot food when it stops thanks to the placing of a four-rotor annular wind turbine when stationary plus solar panels that are in constant use. Autonomous solar planes cruise the upper atmosphere and will endure for 5 years at a time, thanks to billions of dollars' investment. In 2018, four companies plan to sell the first energy positive drones that climb to the strong winds then generate huge amounts of electricity. Google have just flown one capable of generating 600kW with the ability of making the filthy emissions of large ships - equivalent to up to one million cars - a thing of the past. This is the time to learn about all of this! 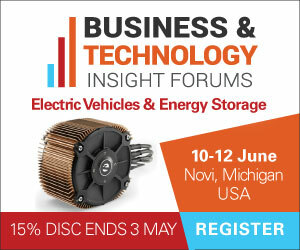 In forecasts from oil majors, automotive leaders and leading analysts (apart from IDTechEx) EIVs do not appear. Their impact is not discussed. However, IDTechEx has an overview report on them and now it is staging the world's first conference on the subject. It will be hosted where the most impressive solar boats and cars are designed and raced - the Technical University of Delft in the Netherlands. The focus is on commercialisation, future breakthroughs and an in-depth look at all the vital enabling technologies from structural electronics to GaAs, GaN and SiC devices. Hobbyists need not apply. This subject just got serious! What to expect: Below, Dr Peter Harrop gives an overview of the Energy Independent Electric Vehicles Conference.